Indian automaker Tata Motors unveiled its concept car, Pixel which is a spacious 3 door city car that could be produced for European markets in the future. Tata Nano which is the cheapest car is for the Indian market and the Pixel which is developed from the Nano, is just over three meters in length and is developed for the European markets. It is the most package efficient four seater in the world. It is a hatchback. Pixel has 1.2-liter turbocharged three cylinder diesel engine, which is positioned at rear end and the engine has a low-friction design, featuring variable coolant and oil pump and rapid warm up technologies. It can be parked in the tight spaces as it has Turn toroidal traction drive, Infinitely Variable Transmission (IVT). It has a turning radius of just 2.6 meters. The scissor doors rotate upwards from the front and allows passengers to effortlessly enter or exit the car. It has features like minimal front and rear overhangs, optimized aerodynamic drag, intelligent battery charging, stop-start technology and controlling of key features by the driver’s smart phone. 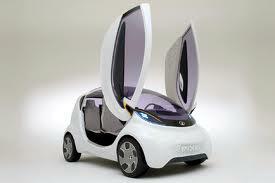 It has the fuel efficiency of 3.4 l/100km and CO2 emissions of just 89g/km. Its expected price is Rs. 2,50,000.